MapKit offers an easy way to integrate Apple maps into your app. Wether you want to show where your company is located, where the next pub is or track your cats GPS location in an app. 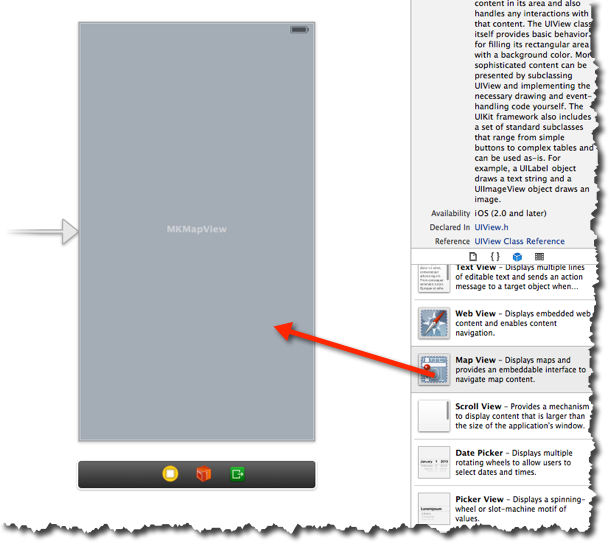 In this tutorial I want to describe how you can add maps to your application. Position, zoom the map and add annotations. Otherwise the application will crash instantaneously. Once we have done that, we go to the main storyboard and drag the map view into our view. Lets run the app for the first time. It should now display the map. For maps there are three types how to display the map: Standard, Satellite and Hybrid. While you can set these in the properties, you might want the user to be able to choose the type. When we start the application we are now able to switch between the different map types. While the map currently defaults to specific position, we now want to set a location / area on our own by default. This is defined in metres, in our case we want to have a 1000 meters zoom level. When we launch the app now, it should default to the given position. The code is best added before we do the zoom we did before. The last thing we want to do is do something with users location. The users location is only available if the user enabled the function. The user is asked wether he wants to share his location or not, when the function is first called. 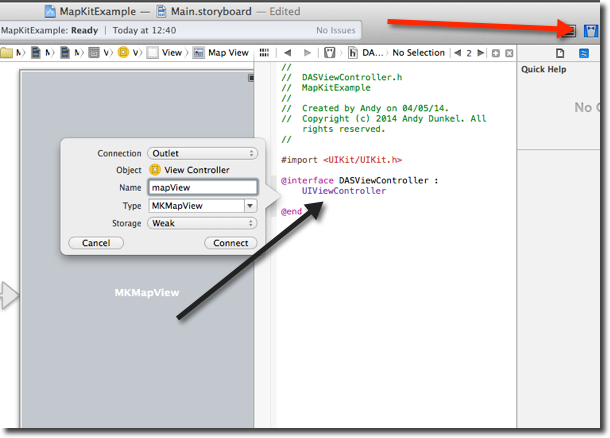 To enable that in XCode activate "Show Users Location" in the MapViews properties. 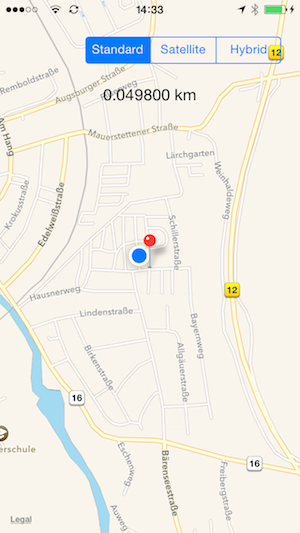 Well thats it for some quickstart with MapKit. You can download the source code of the example here.